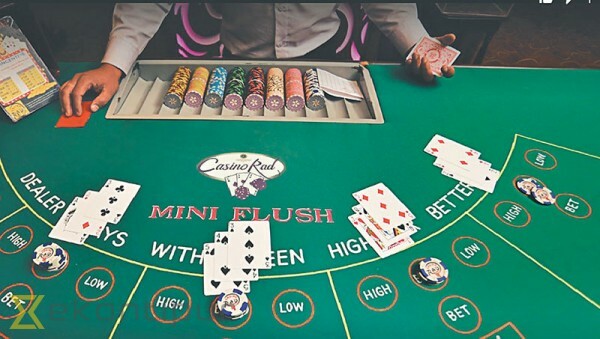 The government’s decision to attach casino-related laws in the Tourism Act instead of passing a separate Casino Act has disappointed tourism entrepreneurs as the country will lose out on benefits from authorized commercial gaming that is expected to attract massive foreign investment and tourist arrivals. Last June, the government moved to bring a separate Casino Act to streamline the industry and encourage new global players to enter Nepal amid expectations of a boom in the gaming industry with the ongoing development of nearly a dozen five-star hotels across the country. But the plan has changed. The ministry had planned to submit a draft Casino Bill 2018 to the Cabinet for its approval last June, but the plan was abruptly cancelled. The Law Ministry had even given its okay to the preliminary draft. Ministry officials said they were clueless about the abrupt cancellation of the plan. “As the ministry wants to integrate the casino law into the new Tourism Act, the plan to enact a separate piece of legislation may have been cancelled,” they said. Several tourism entrepreneurs said that without a separate Casino Act, the industry would not attract foreign investment and address potential risks. According to them, if the casino law is too weak to govern the industry, it will have a high investment risk. The government needs to examine whether it can govern the industry by inserting some casino related clauses in the Tourism Act, they said. Nepal’s casinos are currently governed by the Casino Regulation 2013. The government felt it necessary to pass a separate law to bring the existing casinos into line as many of them have been operating without paying taxes and royalties on the strength of the Supreme Court’s interim orders. A report obtained by the Post shows that casino royalty irregularities currently amount to Rs1.25 billion. In 2013, the Tourism Ministry scrapped the licences of casinos defaulting on royalties as per the Casino Regulation 2013. However, the three casinos and eight mini casinos reopened their doors barely a year later following a court order allowing them to operate. Two five-star hotels running casinos, however, have been closed. The rest decided to operate under the new regulation. The court ruling, in fact, is not clear as it does not say whether the casinos should be allowed to operate under the old or new regulation,” said an official of the Department of Tourism which regulates the casinos. “The most complicated matter for the department is that it cannot collect taxes and royalties as it has scrapped their licences. In a legal sense, the casinos are operating unlawfully. But we have to honour the court’s ruling,” he said. Most of the casinos are taking advantage of the legal complexity. They are even reluctant to pay the annual royalty of Rs30 million fixed by the Financial Act in the last fiscal year. The Financial Act has hiked the annual royalty to Rs40 million from this fiscal year. As the government did not want to wait for the final decision of the court, it decided to launch a new act. “If the Casino Act is introduced, it will automatically supersede the Casino Regulation and also the court’s orders,” said officials. Last March, the department issued a public notice ordering delinquent gaming houses to settle their outstanding royalty payments within 35 days or face legal action. “But only one casino responded to the order,” said department officials. According to documents obtained by the Post, Casino Royale housed in the Hotel Yak and Yeti and run by Surendra Bahadur Singh under Gilt Investment has been operating under the old regulation since the Supreme Court issued the interim order on March 28, 2016. It owes Rs118.2 million to the government. Casino Rad operated by Kishore Silwal, Kausal Silwal and Usha Thapa Silwal under Rock International owes Rs73.3 millions in back taxes to the government, officials said. The owners have been operating the casino under the court ruling since May 2016. Four mini-casinos run by Rock International owe Rs28.7 million in back taxes to the government. Another four mini-casinos under Happy Hour run by Surendra Bahadur Singh housed at the Hotel Sathai in Dhangadhi, Hotel Nans in Bhairahawa, Hotel Suraj in Birgunj and Riya’z Hotel in Kakarbhitta owe Rs147.7 million in back taxes to the government. As per the regulation, casino operators have to pay a fee of Rs20 million to obtain a casino operating licence. They are also required to renew the licence annually by paying 50 percent of the operating licence fee. Casino operators must pay the government an annual royalty of Rs40 million set by the Financial Act 2017-18. The latest entrant is the five-star casino property Tiger Palace Resort at Kotihawa, Bhairahawa. Licences are issued to casinos housed in five-star hotels only.